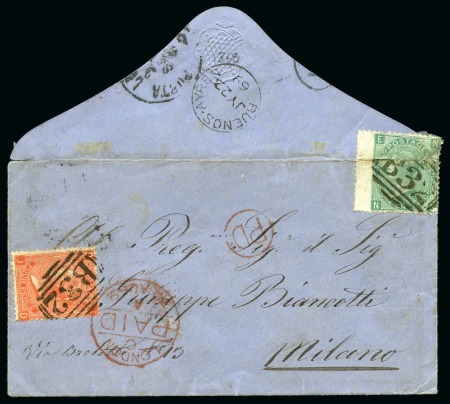 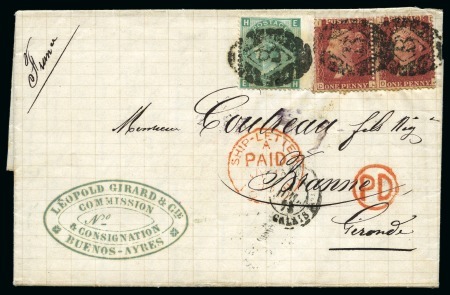 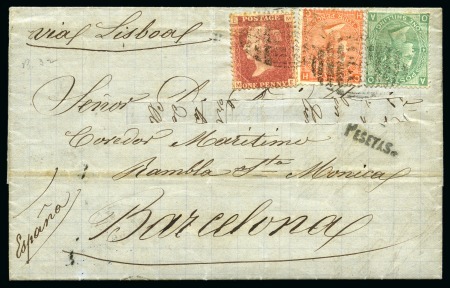 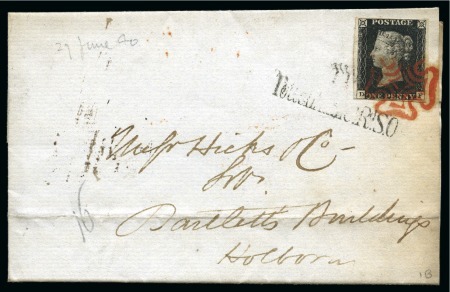 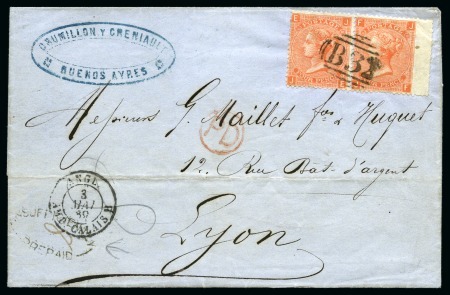 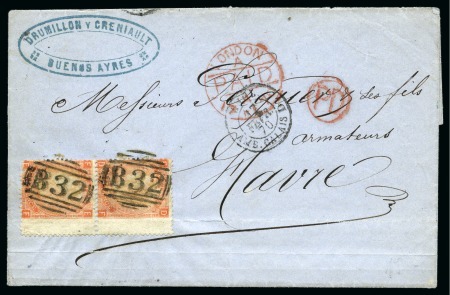 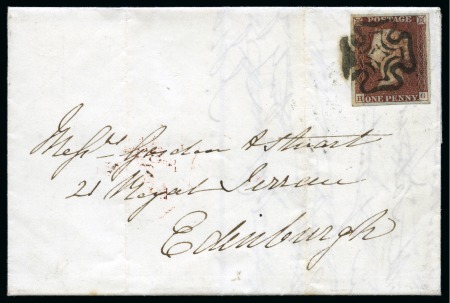 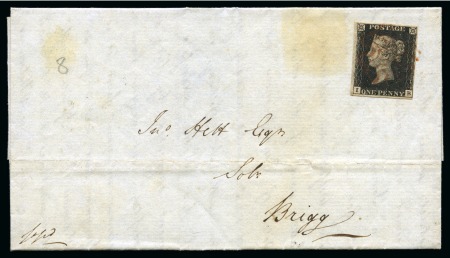 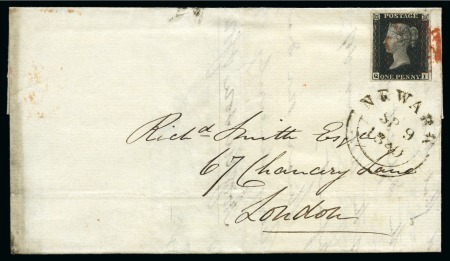 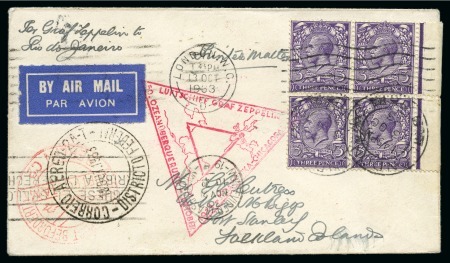 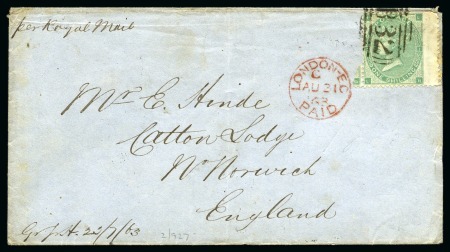 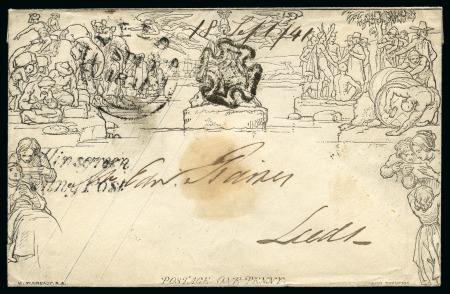 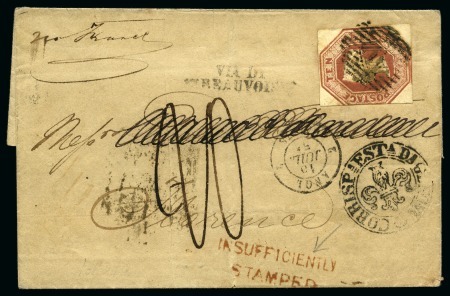 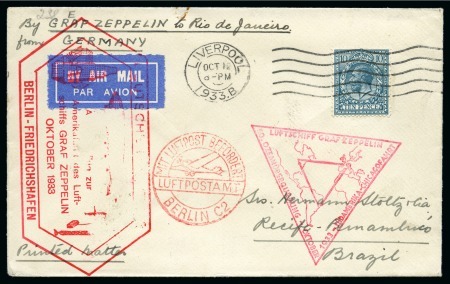 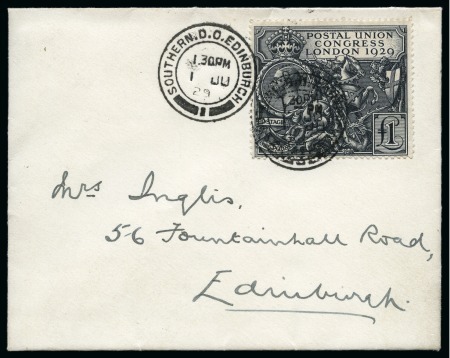 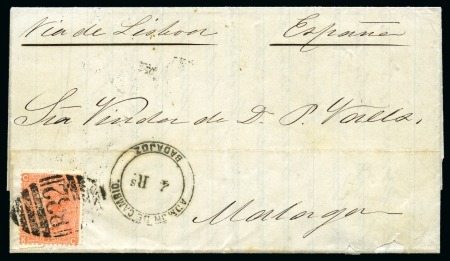 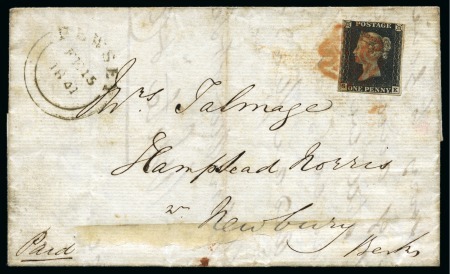 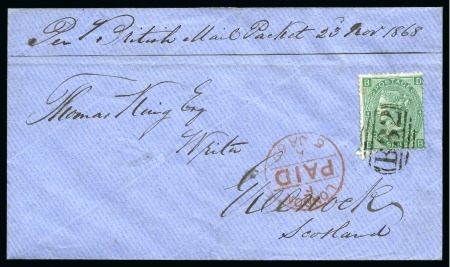 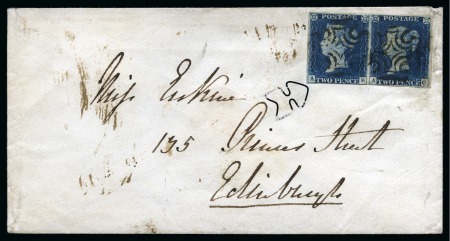 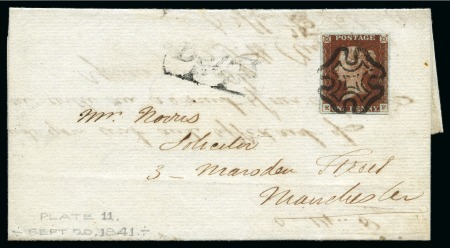 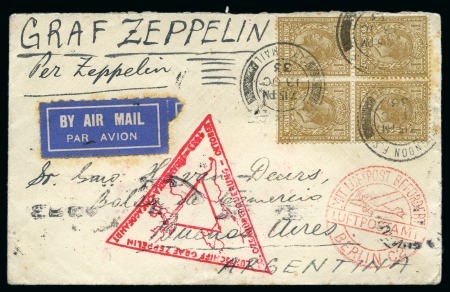 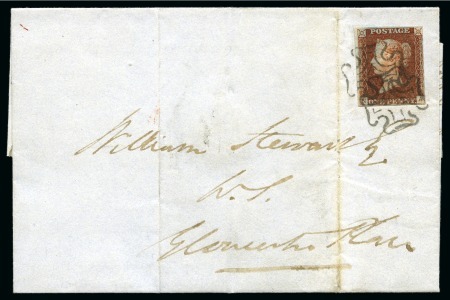 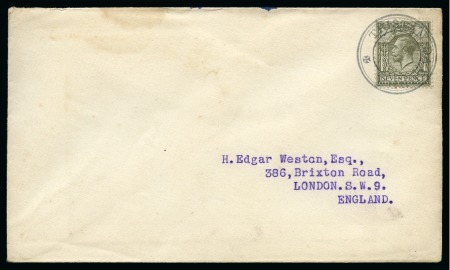 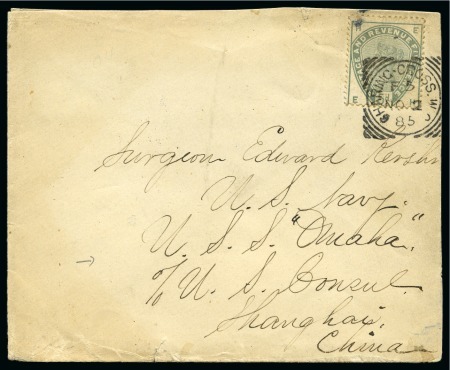 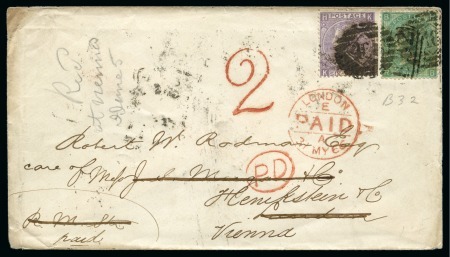 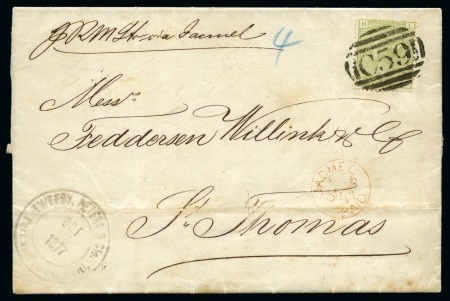 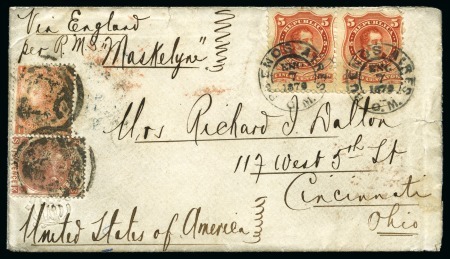 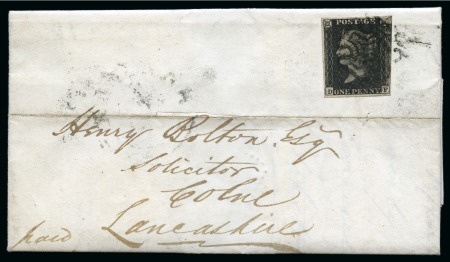 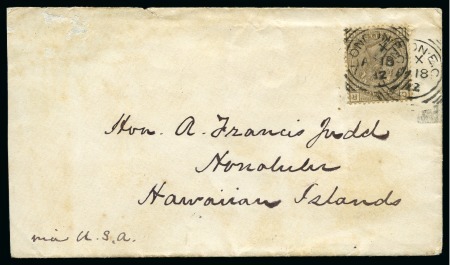 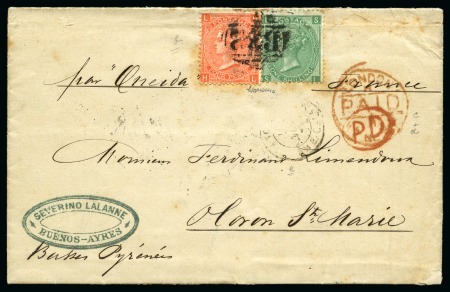 1840 1d Black pl.1b DF with close to good margins tied by crisp red MC to 1841 (Jul 27) wrapper sent within London with “T. 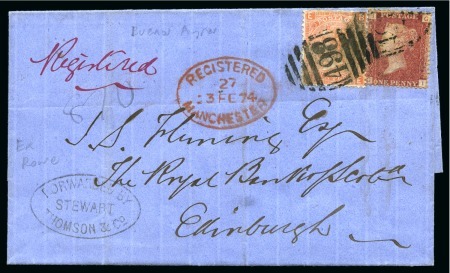 P. / Tottenham Ct. Rd. 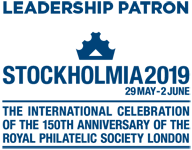 S….